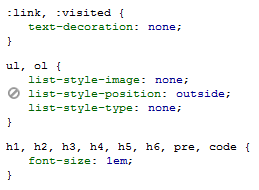 These days often I’ve hands on with HTML/CSS design as part of my ASP.NET Web Applications development. Today I searched for a good resources to learn CSS and luckily I found that Twitaway is giving away the e-book “The Art and Science of CSS” for free. This is a very nice book and you if you want to buy it online it cost 40$. This books covers many of CSS techniques starting from basics like div floats to advanced topics like designing CSS menus(I liked the menu techniques). If you are looking for a good book to learn CSS, then this is worth considering.